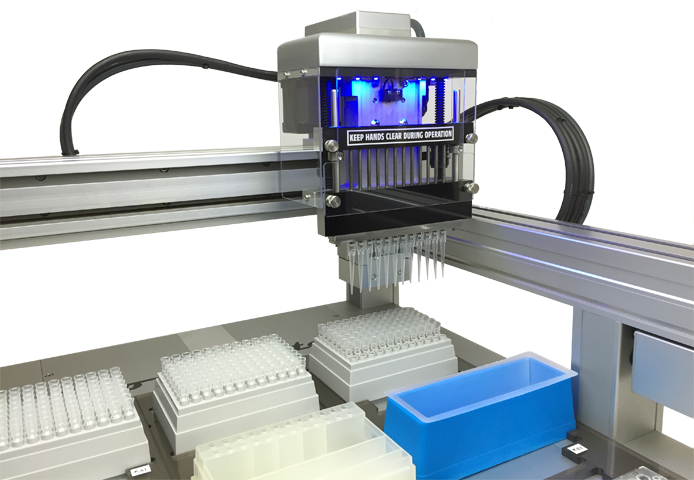 Our advanced robotic station, ProPipette, includes all the features as the Argenta model with a larger workspace to accommodate more microplates and accessories. 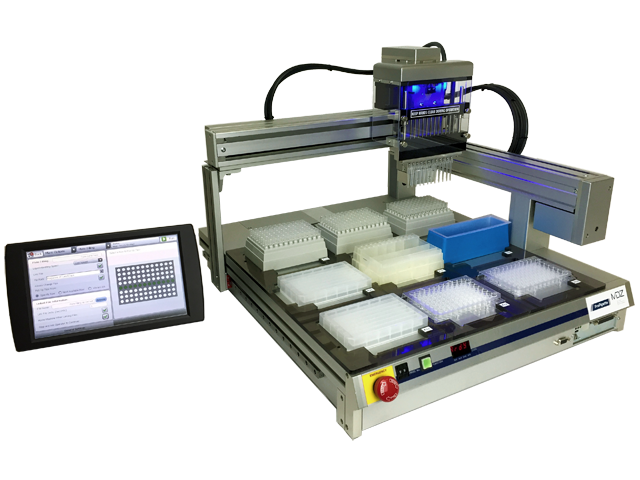 The ProPipette also offers a wide range of options including, gripper for plate/vial manipulation, weigh stations, 2D/linear barcode readers and more. 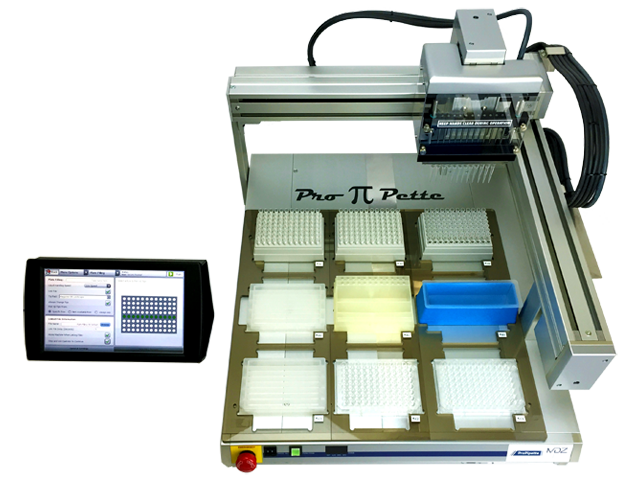 The ProPipette also has the ability to interface with other lab critical instruments allowing you to streamline your entire set of experiment protocols. 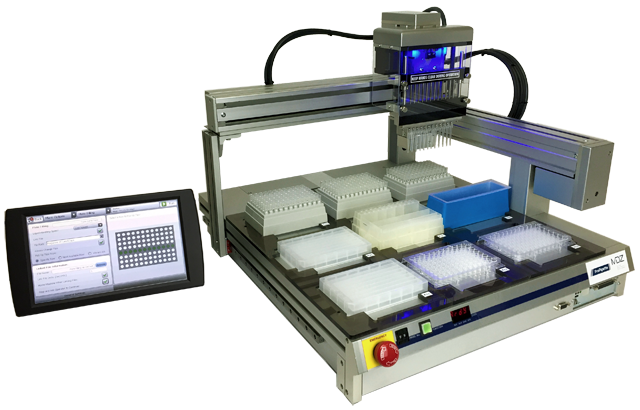 In addition to instrument integration, the ProPipette can be purchased with a custom deck containing more or fewer stations. 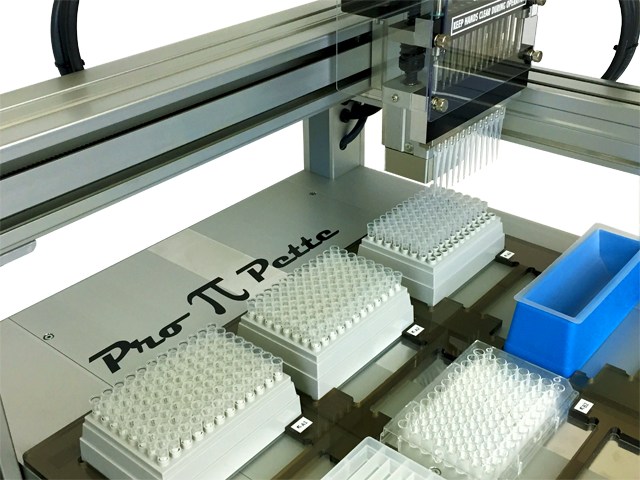 Simplicity, flexibility and reliability make the ProPipette the perfect instrument for your lab! 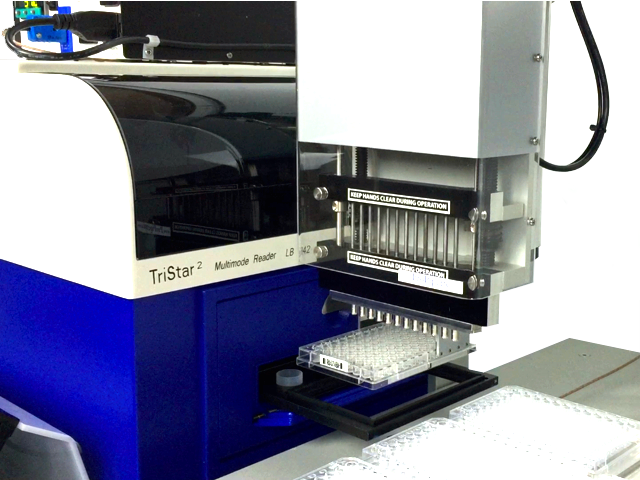 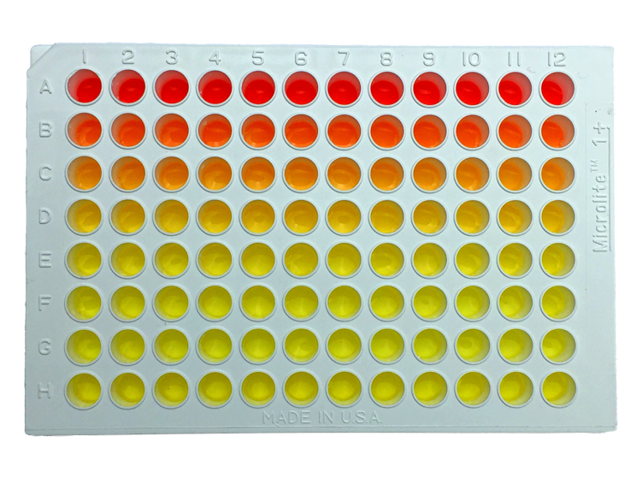 • A variety of third party instruments can be integrated with our system such us microplate readers, analytical balances, robotic arms, HPLC, syringe pumps, etc.